Mrs. Ball has been teaching for the past thirteen years. She started out teaching kindergarten on the Cape and then moved onto teaching half-day kindergarten in Millis for four years. For the past seven years she has been teaching first grade & loving it! Mrs. Ball has a B.A. in Elementary and Early Childhood Education from Salve Regina University, and a M.Ed. in Literacy & Language from Framingham State College. She is certified in elementary education, early childhood education and reading. ~She has twin boys and five nephews. ~She loves singing, music and the theater. ~She loves going to the beach and collecting sea glass. Ms. Eaton has been teaching first grade at Clyde Brown since 1999. She is dual certified in both elementary and special education. She has a B.A. in psychology from Wellesley College and an M.S. in special education from Wheelock College. 1. She has chihuahua named Stitch. 2. She loves the Red Sox and Patriots. 3. She plays competitive kickball. Mrs. Giordano is dual certified in elementary and special education. She began her teaching career in 2003. Prior to teaching first grade in Millis, she taught special education in Lakeville, MA. Mrs. Giordano has a B.A. in Elementary/Special Education from Providence College and M.Ed. in Elementary Education from Cambridge College. 1. She likes to go for walks, sing and read with her daughter. 2. She enjoys cooking and baking with her family. 3. She visits the New Jersey Shore and Cape Cod each summer. I am so pleased to be your child's teacher this year! I am happy to have the opportunity to share a bit about myself with you. I have been teaching for the past nine years. I taught half-day Kindergarten for three years and taught full day Kindergarten for five years. This is my second year teaching first grade and I am very much looking forward to it. I received my undergraduate degree from Framingham State College in Early childhood Education. 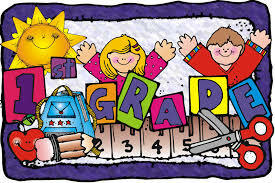 I completed my Masters in Elementary Education also at Framingham State College. I love teaching in Millis. It is such a wonderful small community that truly is a big family. My husband, Frank, and I have a beautiful baby girl named Samantha who just turned two and are expecting our second child in January. I am fortunate enough to take the rest of the school year off to be home with my children once the baby is born. Being a parent is an amazing experience and we are enjoying every moment. Now I have shared a little about myself I look forward to learning more about your child and your family! Mrs. Adria Osborne Cohen initiated the Spanish Immersion Program in 1996 after teaching in the Cambodian bilingual program in Lowell and directing the English As A Second Language and International Student Program at Walnut Hill School in Natick. Mrs. Osborne Cohen also taught in the Italian Saturday School Program at the Dante Alighieri Society for thirteen years. She earned degrees in History and Early Childhood Education at the University of Connecticut, a master’s in ESL, bilingual education and Spanish at the School for International Training in Vermont, specializing in immersion education, and a Certificate of Advanced Graduate Studies from American International College. Three fun facts about Mrs. Osborne Cohen are that she enjoys genealogy, raised a trilingual child, and taught English to musical performers from Mexico.